We’ve confirmed with the team behind Mutant Football League that a Switch version is in development. We won’t have to wait long to see it, as it’s playable at E3 2018 this week. The demo is located in the South Hall, booth #2555. A spiritual successor to Mutant League Football, Mutant Football League is a brutal arcade-style football game. We have further details and a trailer from its release on other platforms below. – Two player online or four player local multiplayer gives you the choice to clobber one another or team up and crush opposing miscreants. – Choose from 18 teams made up of blood thirsty, wisecracking Skeletal Deadheads, Armored Bruiserbots, Criminal Aliens, Mutated Humans and Monstrous Orcs. – NBA Jam and NFL Blitz hall of fame commentator, Tim Kitzrow gives unforgettable, adult-oriented play-by play commentary for every game. – Use Dirty Tricks during game play to Bribe the Ref, throw Bombs, or equip Shotguns and Chainsaws to your players to inflict maximum carnage against the unsuspecting competition for real difference-making moments! – 18 unique fields across the league offer landmines, booby traps, fire pits, toxic moats and buzz saws as fun but deadly obstacles. 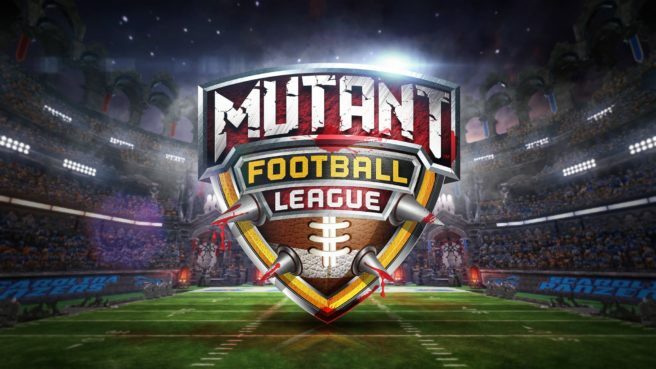 – Play as MFL All-Stars Wham Neutron, Bomb Shady, Ghoulio Bones, and more who dominate the league with their rising kill counts and ferocious abilities. – Multiple punishing play modes like Exhibition, Practice, Playoffs, or try to survive a full season and reach the ultimate glory: the Mayhem Bowl! – Exploding body parts, comically horrific deaths, and blood splatters fuel the MFL GORE FX visual experience. Digital Dreams Entertainment is keeping quiet on most of the specifics surrounding Mutant Football League on Switch for now. However, we do know that some all-new content will be included. Stay tuned for further details.